Cancergraph – More Data. More Graph. More Health. Your Bridge To Better Treatment. 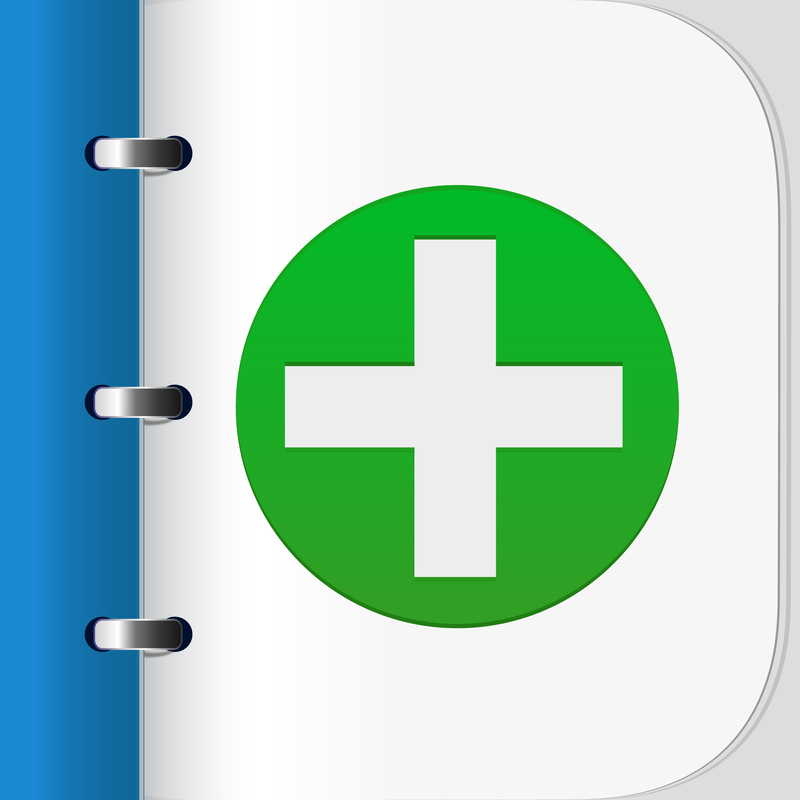 Records each symptom’s severity, time of day or night and location of occurrence. Cancergraph removes stress and increases the accuracy of reporting how you are feeling, 24 hours a day, 7 days a week. Track up to five symptoms and side effects. Choose from over 200. Your choice to include your cancer types, medications, concerns and other diseases and morbidities. 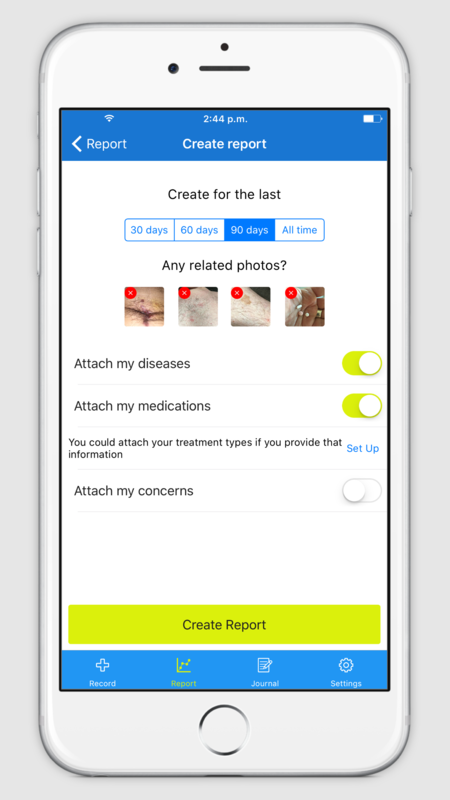 Cancergraph creates a secure photo storage area on your mobile device, so your cancer photos do not show up next to your vacation photos. 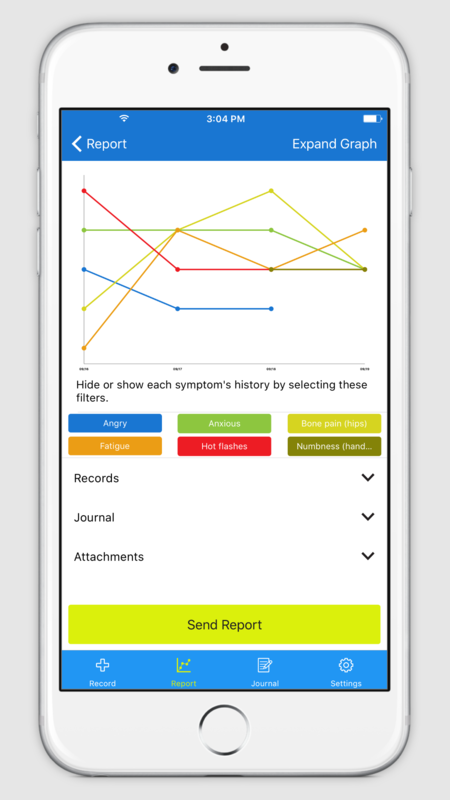 Beautiful reports that you can view on your phone or email to your doctor. Cancergraph is a beautiful, stress reducing memory tool that gives you and your doctor reliable reports about your day to day cancer related experiences. You Have Good Days, Too! Use Cancergraph even if you are feeling OK…that’s great data to have, too. Cancergraph is your cancer history memory bank. Enjoy your life without the burden of memorizing pain and distress. Use the journal feature to write more than a few words about how you are feeling. With so few minutes to talk with your doctor, it’s best to write out your concerns. Your data stays on your mobile device. An optional feature allows you to create an account to share your anonymous data with cancer researchers. One second – one tap. 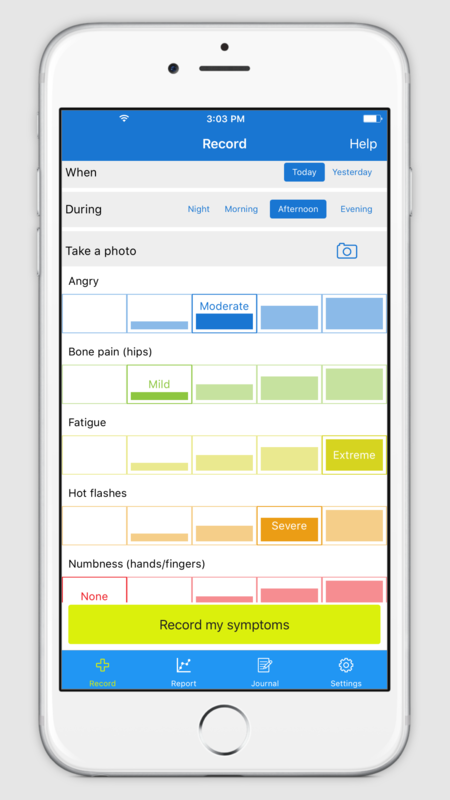 That’s all it takes to record your symptom, severity and time of occurrence. Very fast! Your Cancergraph history matchs your needs to new treatments and clinical trials. 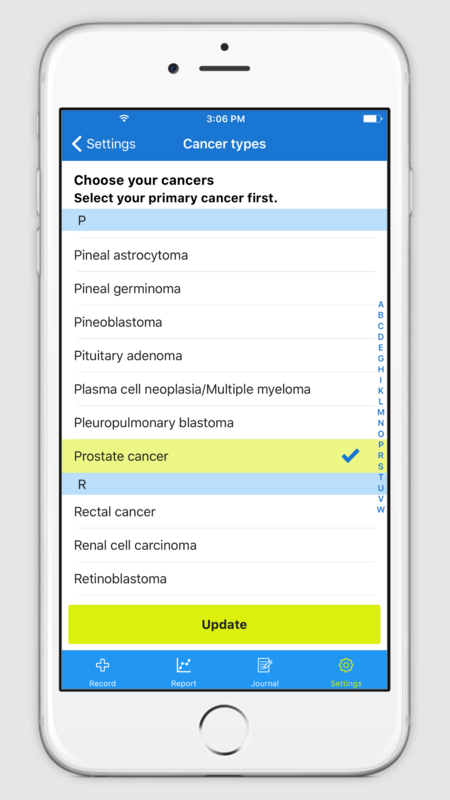 Cancergraph works entirely on your mobile device. Even when there is no WiFi or Cellular connection. 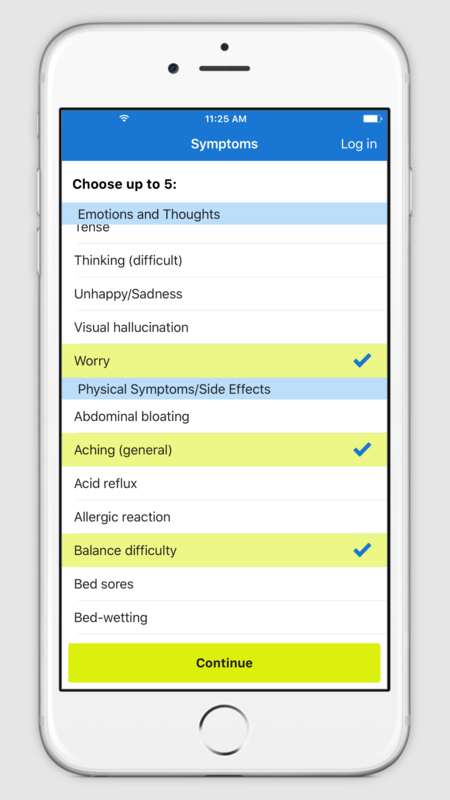 Your cancer symptoms and side effects occur anywhere and everywhere….and Cancergraph works everywhere, too. Founded in 1998, Malecare is the world’s leading men’s cancer survivor support and advocacy nonprofit organization. Malecare focuses on increasing access to healthcare for underserved populations and on developing patient centered program design. Our vision is a world where cancer is a curable or manageable disease. Please let us know what question, comment or problem you have. Download Android or Apple iOS Cancergraph today.